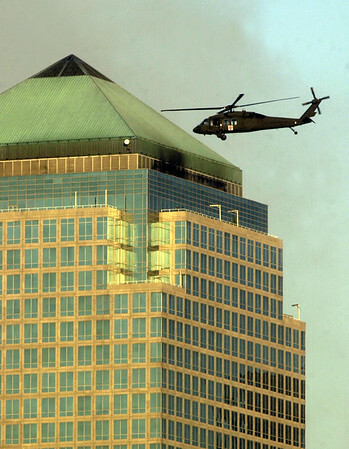 010913 NYC/helicpoter close--dan cappellazzo photo--A military helicopter takes a closer look at the top of the 3 World Financial Center. The building sits adjacent to where the WTC once stood. Officals are concerned the build may also colapse due to damage from the WTC blasts.